SEO (Search Engine Optimization) is a time-challenged process and to generate local leads, it is crucial to gain insights about local SEO analytics to improve credibility of the project. More sales and profit? More daily visitors? This can be gained through online marketing and establishing an impeccable visage of the business. 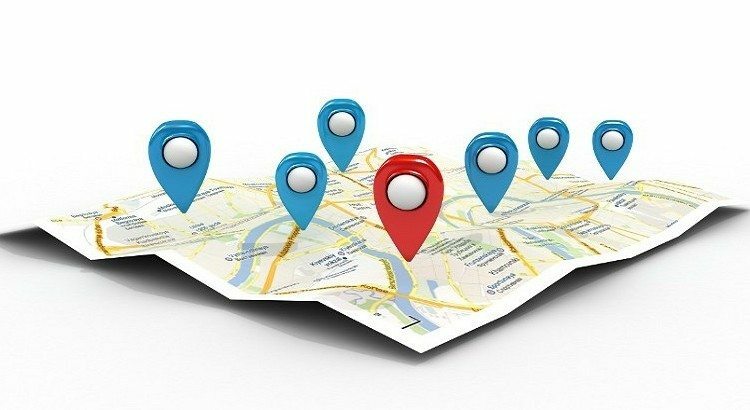 If you are facing time-factor to dedicate yourself to online marketing and connecting with your visitors, then here are few quick tips on increasing business potential through local SEO. What’s the use of promoting international number locally when the visitors are living nearby? To gain the trust of local buyers, always use local business information to stream hassle free communication and visits. ‘Google+ Business Page’ has got a new makeover and those who are not taking it seriously can damage their brand. If you haven’t claimed it, then do it, NOW!!!! And, delete all the alternative pages that are made to promote business. It’s always better to have one page for a business. It looks genuine and focused. No matter on how many pages you are posting content or optimizing, never forget to provide the address during sales campaigns. It keeps readers or visitors remember it. Or, you can use Schema mark up to get fancy. It will save your time as well. Undeniably, most businesses have the only one page of products and services and all data gets uploaded on it. SEO’s relevancy lies in bringing traffic to a particular product and service page, and ensuring every product and service has its own dedicated page. Chances are you offer services in different locations around the globe. Using the same page for all locations would look spam. Create seperate pages for each location, so that the visitors do not get confused and can find the right info just a click away. Billions of people are present on different social media platforms like Facebook, Twitter, Google+ etc. Through proper market research, find out which social media is more popular locally. Make a business page and add all the social pages’ links to the website for better business synchronization. No matter how dull or boring it may seem, but it’s truly important and play a huge role in the long run. Don’t overlook the process; otherwise, the desired results would just be a dream. Tap into Moz local details to learn about inconsistencies. Furthermore, don’t hesitate to walk an extra mile to reap better results. When citation pop-up, it’s wake up call to take mandatory actions and perform necessary functions on the website for better SEO usage. 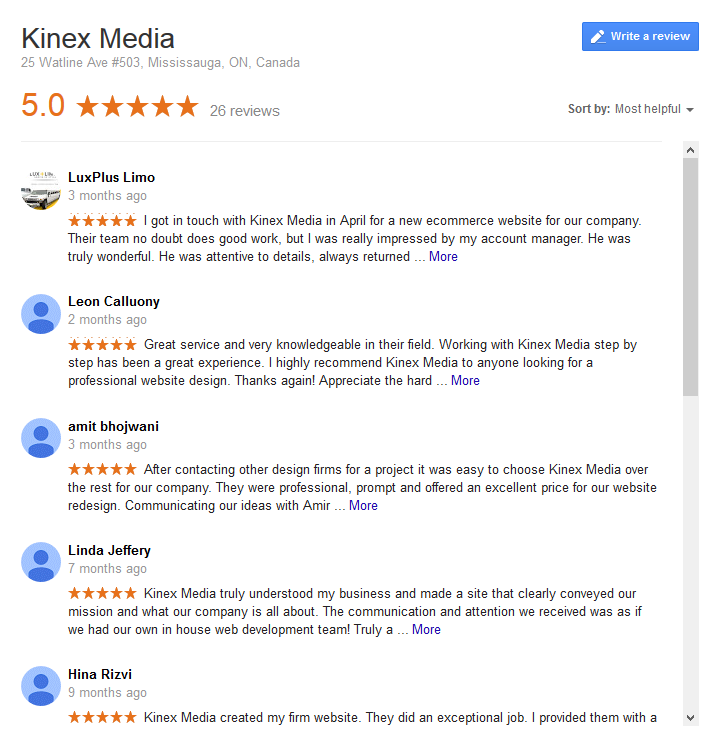 Positive social reviews on Google+ and social media profiles are a win-win situation. Request the customers to leave their reviews on different social platforms that can help in building trust in the search results. Who doesn’t like seeing 5 Golden Stars for its services? Yes. The answer is ‘yes’ always. Online reputation is the key behind successful digital marketing and overall business success. Getting reviews may be a long process, but according to recently online surveys, it builds an on-going relation and trust with customers. Roughly 87% people will never consider business with low ratings. Hence, achieving 5 stars is the goal for every serious business. Push your customers to Google Business Page and request your satisfied clients to rate your services. This will build trustworthy visage in the virtual world, and will benefit business locally and internationally. Moreover, Positive ratings will bring more visibility and clicks. Some experts are delusional about meta description’s importance to influence local click-through. It’s possible to get more visits and increase local traffic by tweaking descriptions. Build your pages to win clicks and increase sales conversion. 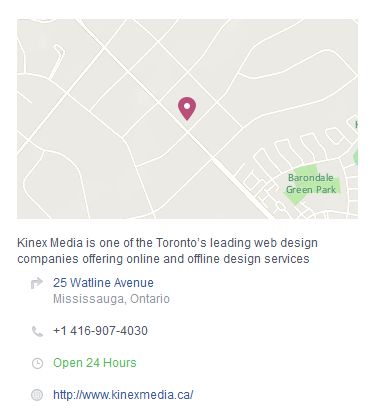 Title as Web Development – Kinex Media, Toronto CA.